My AZ Lawyers attorneys have helped thousands of clients in Arizona achieve debt relief. If you are considering bankruptcy or learning about your options to eliminate debt in Apache Junction, contact our firm. The attorneys at My AZ Lawyers are knowledgable about the Arizona bankruptcy code, we know the Arizona bankruptcy court, the trustees, and the process. Explore your debt relief options, and get answers and information. After a free debt evaluation, an attorney will help you to determine which course of debt relief action is best for your particular financial situation. If you are considering filing bankruptcy, it is very important that you become familiar with the protections that are offered with the various types of bankruptcy. 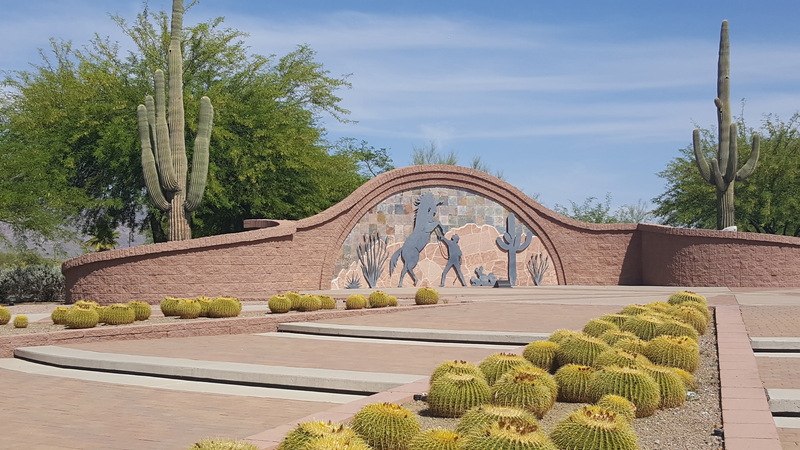 This is where our Apache Junction bankruptcy attorney comes in —- the Arizona bankruptcy laws and exemptions can be complex. We also help clients determine the best means of eliminating debt using the law and how it applies to bankruptcy and debt relief. Our Apache Junction bankruptcy attorney has easily accessible offices to make debt relief in Apache Junction convenient and efficient. Also, our experienced attorneys offer phone consultations and, if you prefer, much of a bankruptcy can be done over the phone. Local attorneys and My AZ Lawyers office in Mesa is close, and our staff can accommodate your schedule. We also offer flexible scheduling including nights and weekends. After reviewing your case in detail, an attorney can give you accurate advice about bankruptcy protection. Furthermore, after spending adequate time understanding you needs and your financial situation, our team will use our knowledge and experience to give you options and representation specific for your case. Bankruptcy may not be the right answer for everyone, and different cases may require different types of bankruptcy protection. Not only does our firm have a reputation for expert debt relief and bankruptcy representation in Apache Junction, we dedicate ourselves in providing outstanding service. When you make the decision to take action and take control over your debt, your first step is to contact our law firm. By all means, schedule a FREE CONSULTATION and let us know how we can help eliminate or reduce your debt. Next, our local attorneys will listen to your debt relief needs, explain and give you information, and offer options. Don’t let feelings of shame or embarrassment about bankruptcy stop you from what could be a fresh start — a clean financial slate. My AZ Lawyers are professional, confidential, and understanding. We won’t judge you, we will help you. Our firm has helped thousands of Arizona residents reach their financial goals by eliminating debt. Step one to erasing your debt is to make a phone call to My AZ Lawyers. Next, our team will work with your schedule and that of the bankruptcy process timeline to make certain your bankruptcy is filed immediately and our use of appointments is effective. If you feel comfortable with taking care of most of your bankruptcy filing over the phone, we can do that. If the cost of hiring an attorney for bankruptcy concerns you, ask our staff about our firm’s payment options. My AZ Lawyers provides excellent, affordable legal representation, a free consultation, and debt evaluation. Also, we have a payment plan for every budget, and a low fee guarantee. Our “file now, pay later” payment plan allows you to file for your bankruptcy now… and pay for it later. File Chapter 7 as low as $150 in legal fees with low monthly payments. File Chapter 13 as low as $250 in legal fees with low monthly payments. Contact our firm for details about our payment plans and financing options. Call or email our firm to schedule your no-obligation, no-hassle free consultation with an experienced Apache Junction debt relief attorney. Find out what the best solution is for your legal issue, learn what to expect from our firm, and understand how you can prepare for the bankruptcy process. Meet with an attorney at our office, or take care of business over the phone. Additionally, our bankruptcy package includes a free initial consultation and debt evaluation with an attorney, a free take-home packet with resources and information, professional preparation of your bankruptcy petition and documents, experienced representation from the beginning to the end of the bankruptcy process, and confidential and knowledgeable staff and paralegal assistance. 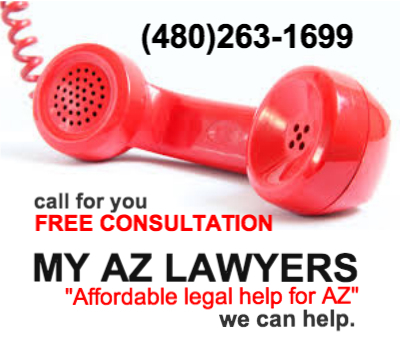 My AZ Lawyers offers some of the lowest legal fees in Arizona. Our low, flat fee pricing covers credit counseling courses (required to file bankruptcy), credit report, we will stop creditors from contacting you, court-mandated filing fee, and the costs of the bankruptcy preparation. 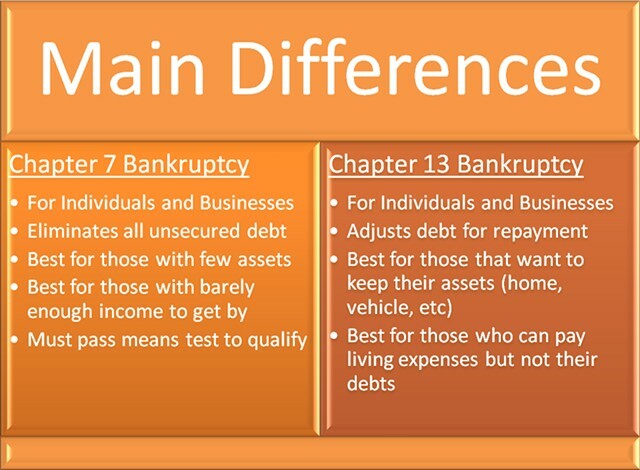 Chapter 7 is the most popular form of bankruptcy. Also known as a liquidation bankruptcy, filing Chapter 7 can eliminate unsecured debt, puts an end to creditor harassment, and stop wage garnishments. Do you qualify for a Chapter 7 bankruptcy in Apache Junction? Contact My AZ Lawyers to discuss if and why a Chapter 7 bankruptcy is your best option to eliminate your debt. My AZ Lawyers attorneys know the Arizona bankruptcy law and the process, and will protect your best interests. Chapter 7 bankruptcy involves the sale of and liquidation of certain assets in order to pay creditors. Basically, assets are sold to pay your creditors. A trustee is assigned to your case to evaluate your property. Arizona has an exemption law, so Apache Junction residents can eliminate debt without having to lose everything. This means that some property is considered exempt from the creditors. In particular, My AZ Lawyers can review your financial case in detail in order to help you determine which assets are not subject to liquidation. In short, you could claim your house, personal property such as furniture and appliances, clothing, car, and life insurance. Our attorneys know all the exemptions and limitations in order to to get the best possible outcome for your bankruptcy. 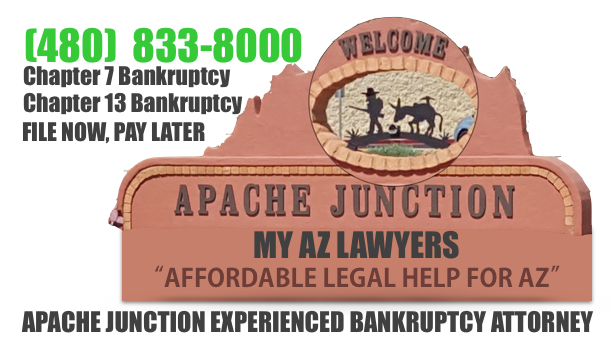 A means test will establish if you qualify for Chapter 7 bankruptcy protection in Apache Junction. If your income is above the median family income in Arizona, a means test will be completed to determine eligibility. Filing Chapter 13 may be your best option if you have valuable property not covered by Arizona bankruptcy exemptions that you want to keep. If you have debt that is non-dischargeable in a Chapter 7, or you have too much income, Chapter 13 may be the best fit for your financial issues. To better understand Chapter 13 and to discuss all options, schedule your FREE CONSULTATION with an experienced attorney at My AZ Lawyers. In addition, Chapter 13 allows individuals to repay some or all of their debt through a payment plan. Also, the duration of the plan, which is commonly three to five years, depends on income and how much time it will take to make your payments. Chapter 13 allows you to keep property. This type of bankruptcy protection acts as a debt consolidation where one payment is made to an appointed trustee. The trustee then distributes payments to creditors. The plan outlines which creditors will be paid and how much they will receive. Obviously, a Chapter 13 plan is specific for each case. It specifies which property you will keep and how you will repay creditors within five years. In order to file for Chapter 13, you must complete a credit counseling class six months before filing. Next the appropriate forms and paperwork (schedules, statements, and the Chapter 13 payment plan) must be filed with the Court along with a filing fee. The Chapter 13 plan must be filed within 14 days after the initial Chapter 13 petition is filed. Apache Junction is located at the base of the Superstition Mountains and is about 35 miles east of Phoenix, Arizona. Apache Junction is named so because of the junction of the Apache Trail and U.S. Route 60. The city has a population of about 42,000 (which increases to about 77,000 during the winter months), it is sunny 295 days of the year, and it is known for its “true western town” atmosphere full of legends, history, and folklore. 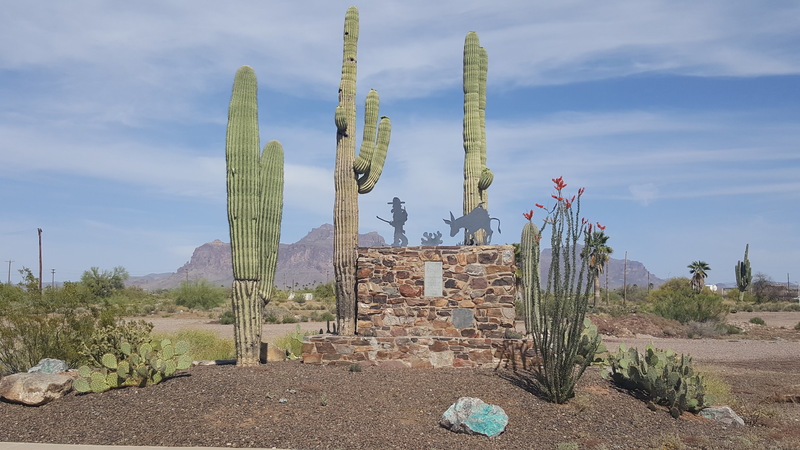 The Lost Dutchman Mine, for example in AJ, with it’s amazing backdrop of the Superstition mountains, is an area that was once a popular movie industry location, and stories about the “dutchman” miner brought gold seekers from around the world. William Creighton, back in the 1950’s, came to AJ to with a plan to build a movie set. A studio set was built known as Apacheland, which was originally built as the set for Death Valley Days starring Ronald Regan. Other movies were filmed in Apacheland, including Charro featuring Elvis Presley. Today, Apacheland is a revived old movie studio and a popular tourist spot with restaurants, shops, and landmarks. AJ is also famous for its Apache Trail. It is one of the most scenic drives in Arizona. AJ became well known because of Jacob Waltz, who claimed to have discovered much gold in the Superstition Mountains. In search of this “lost goldmine,” people have pilgrimaged to Apache Junction.